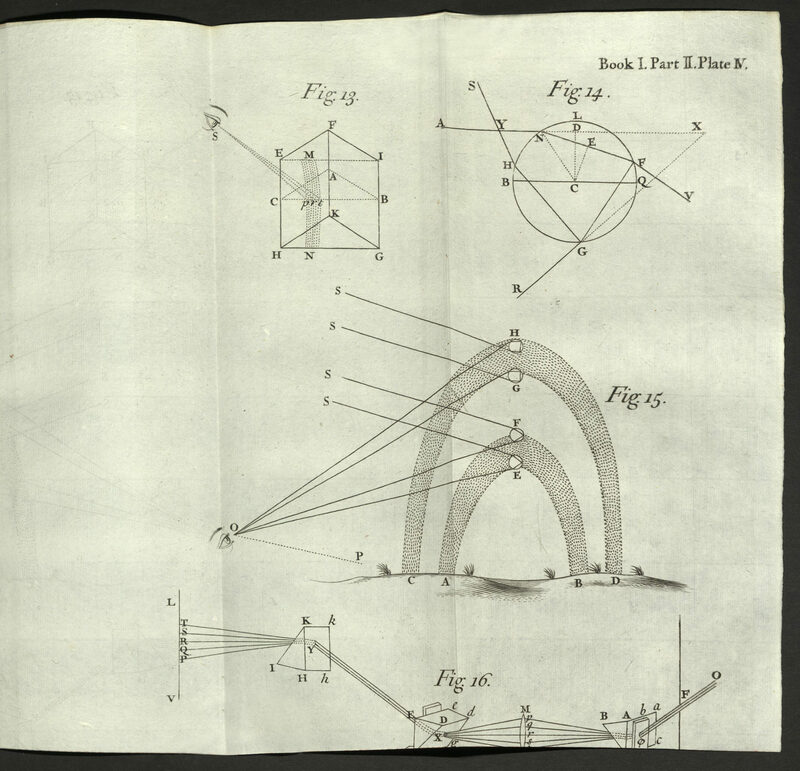 Isaac Newton’s theories and experimentations on color and light grew out of his undergraduate studies. 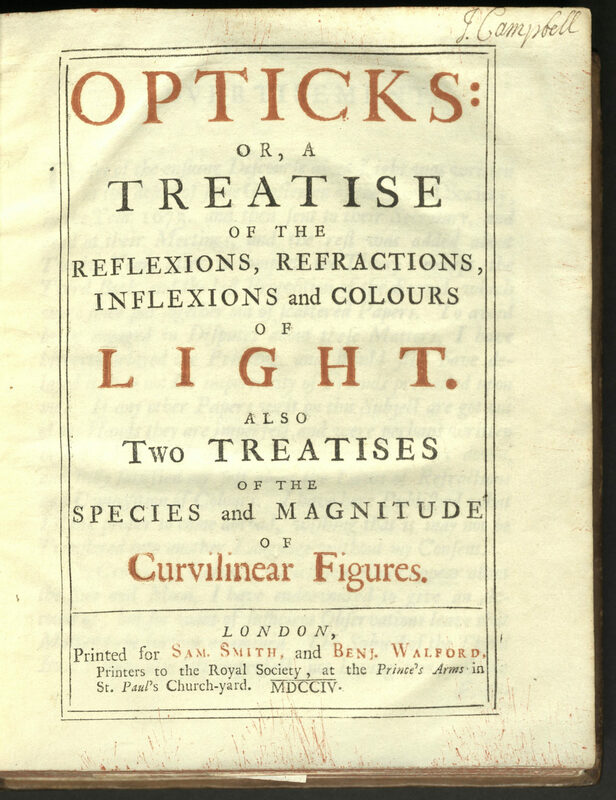 He introduced some of his ideas detailed in Opticks in an article he wrote for the Philosophical Transactions of the Royal Society in 1671. 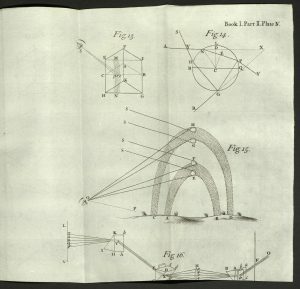 When Newton presented his concepts about the behavior and characteristics of light, particularly that white light is composed of a spectrum of colors, he posed a number of questions intended to stimulate further research. 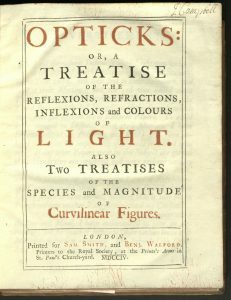 Opticks explains such phenomena as rainbows and contains two treatises supporting his side of the dispute with Leibniz that it was, indeed, he who discovered calculus. 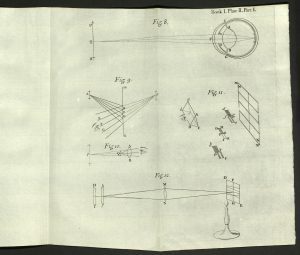 Nineteen copper-engraved folding plates. This first issue was published anonymously, with only the initials “I.N.” at the end of the Advertisement. 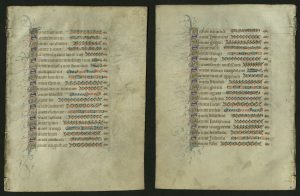 Twenty unnumbered, unbound folded leaves issued in plastic and wooden cases. 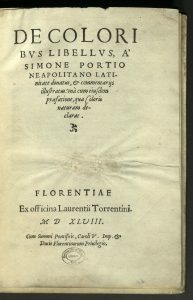 Edition of seventy-five copies, signed by the author. University of Utah copy is no. 11. 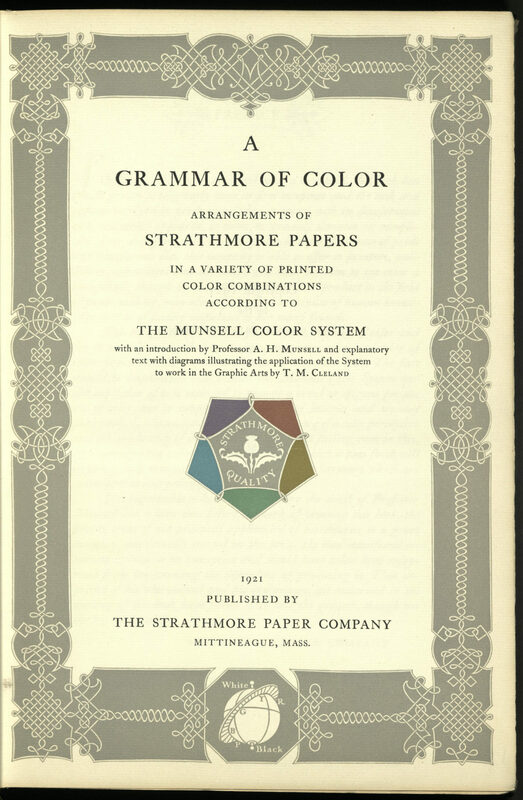 Thomas Cleland wrote and designed this manual of color, funded by the Strathmore Paper Company. 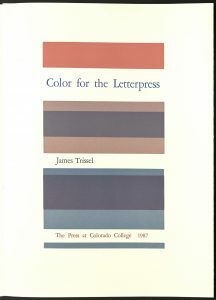 He suggested nearly endless options, good and bad, for printing various colored inks onto colored papers. 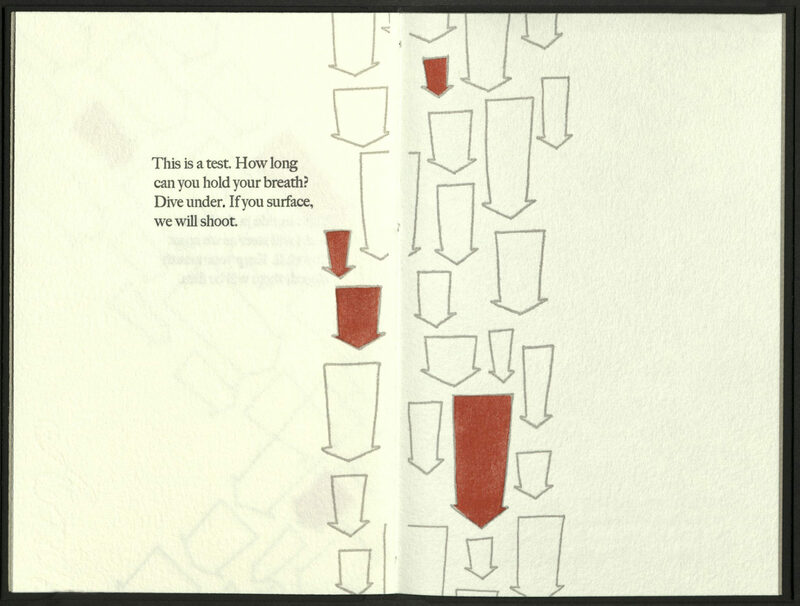 Twenty-six paper samples from Strathmore were provided in a separate envelope at the back of the book for experimentation. 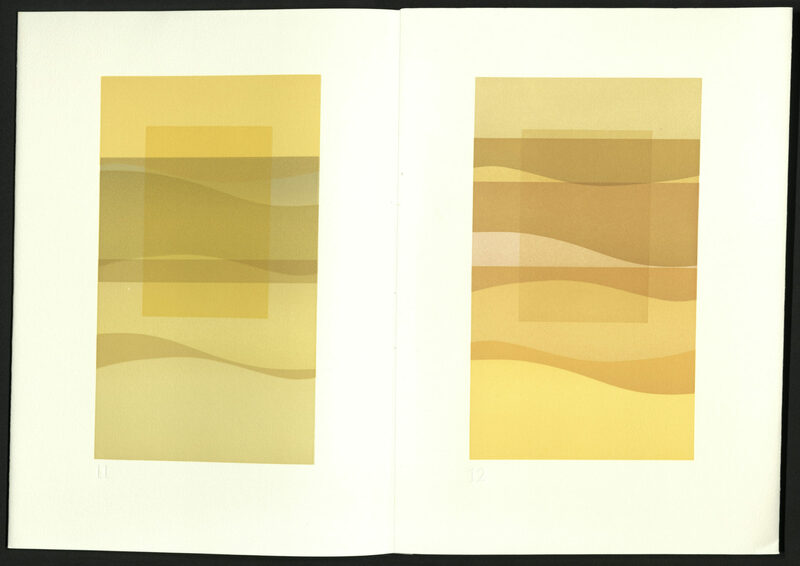 Soon after publication of this book Cleland became the art director for Fortune Magazine. 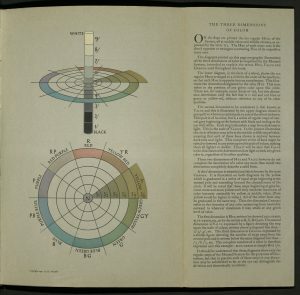 Cleland’s text, with diagrams, explains the dynamics of the color system developed by theorist Alfred H. Munsell, who introduces Cleland’s essay. 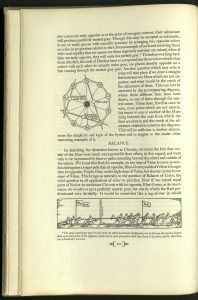 Munsell died just before the publication of the book. 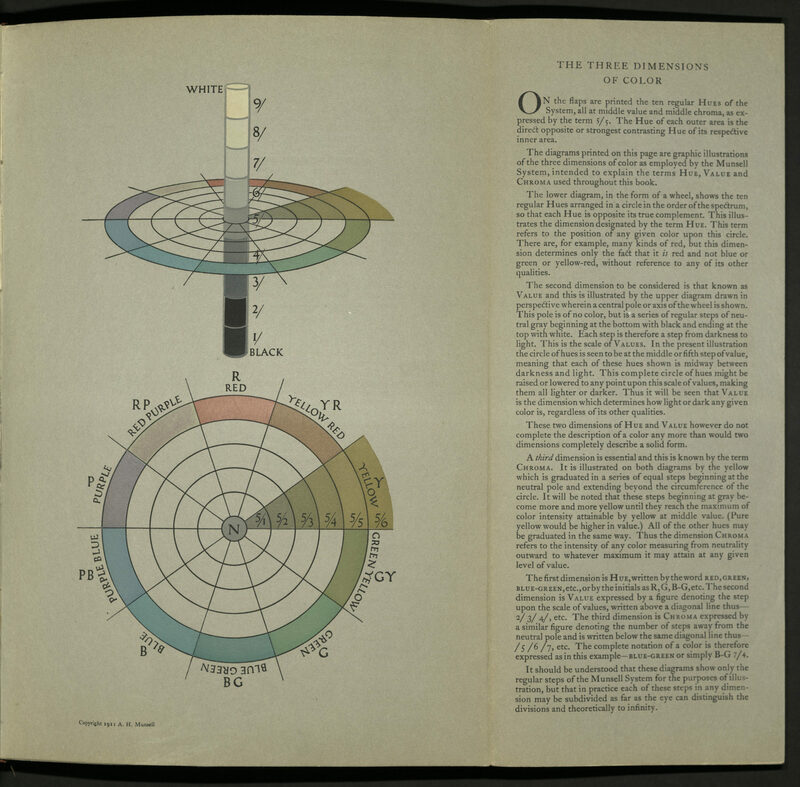 A. H. Munsell devoted his life perfecting his Munsell System of Color. 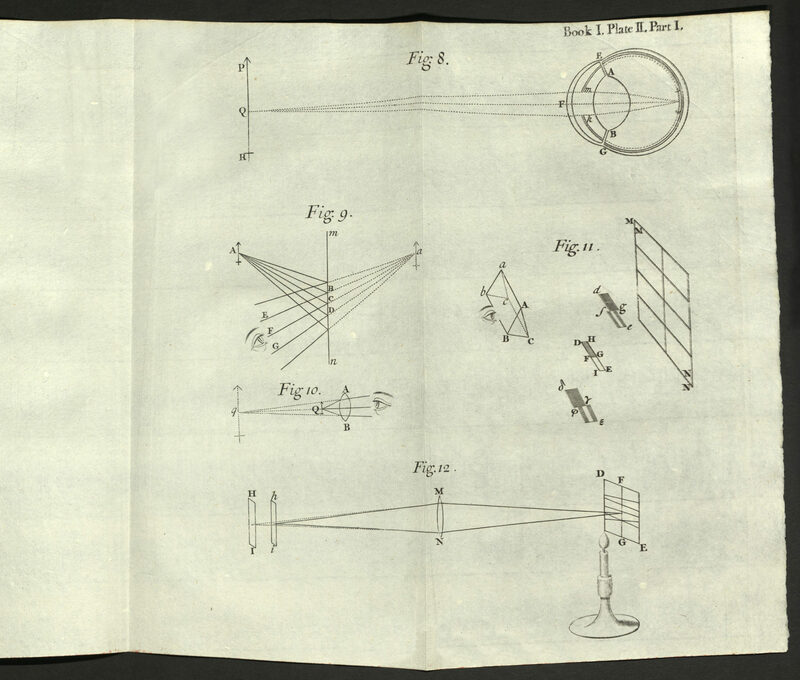 This is the first presentation of his system to the printing, advertising and paper trade. 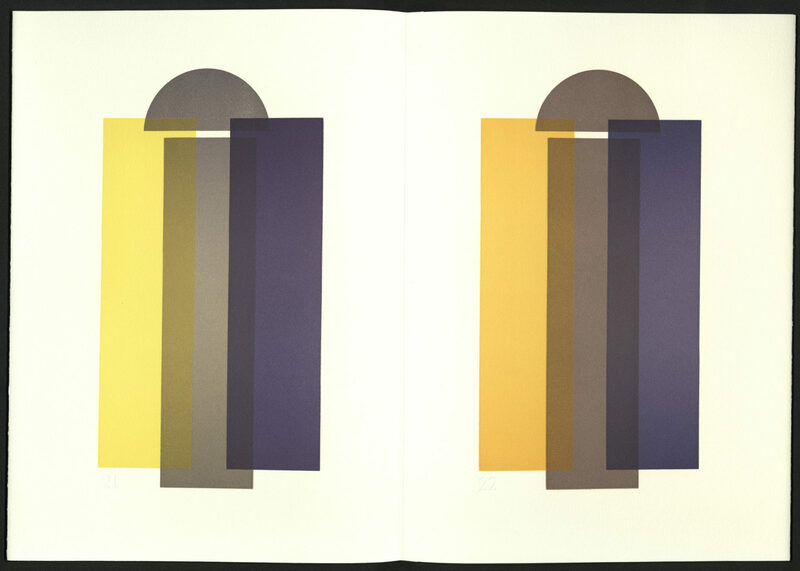 Nineteen folding color-printed specimens demonstrate color combinations. 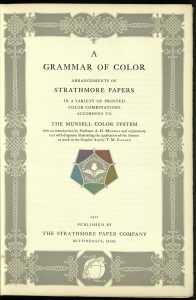 Arthur S. Allen selected and arranged the color sheets. 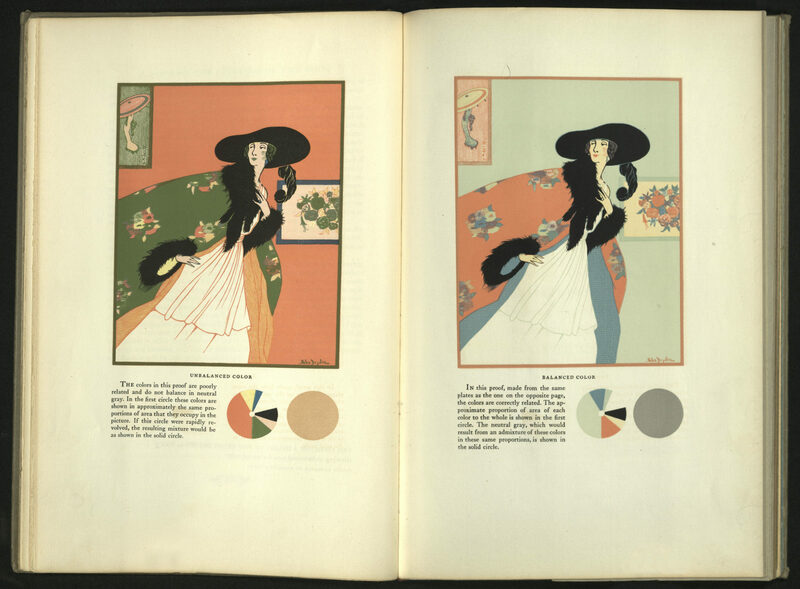 Two plates engraved by artist and type designer Rudolph Ruzicka (1883-1978) depict balanced and unbalanced color schemes. 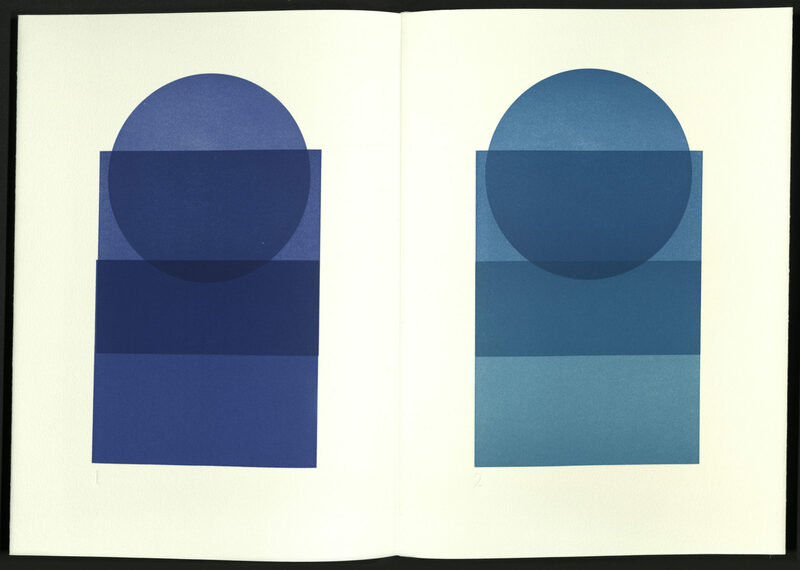 Born in the Czech Republic, Ruzicka worked as a consultant to Mergenthaler Linotype Company for fifty years. 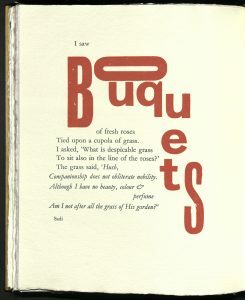 He contributed illustrations to books published by the Grolier Club, Lakeside Press, and Overbrook Press. 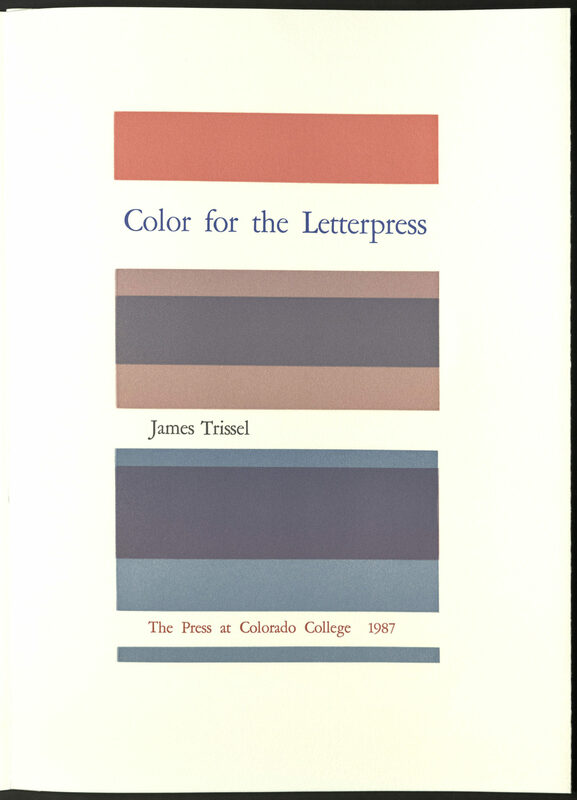 He collaborated with D. B. Updike on the design of several books for Merrymount Press. 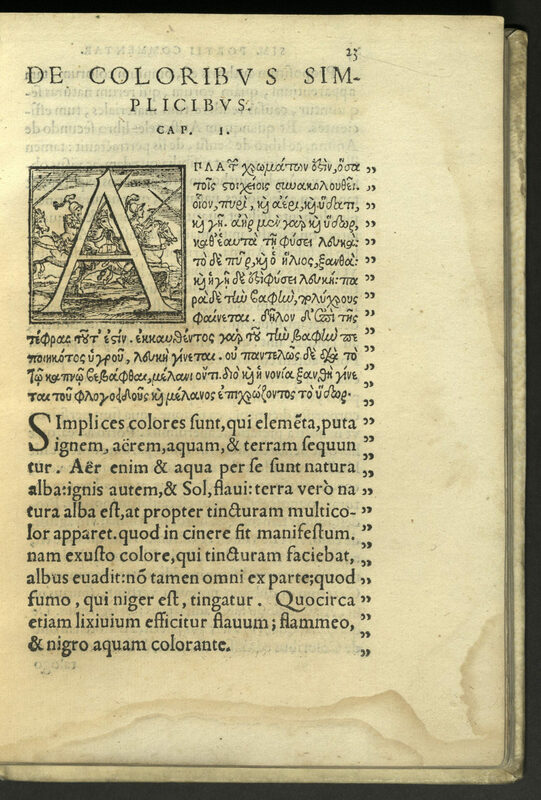 This is perhaps the earliest work on color theory, attributed to Aristotle, who took his ideas from Empedocles and went a step further, creating a base line occupied by seven colors. 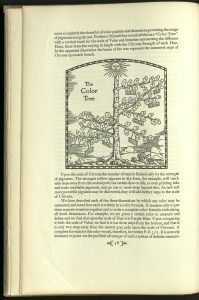 Aristotle’s base line was applied to all color-systems up to the time of Isaac Newton. His assumption was to represent colors as actual characteristics of the surface of bodies and not as subjective phenomena produced by the eye or in the brain as a result of the properties of light. 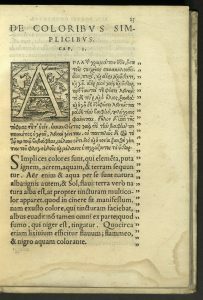 Aristotle observed colors very accurately, as well as their contrasts. He noted, for instance, that the violet appearing on white wool appeared different when on black wool and that colors appeared different in daylight than in candlelight. 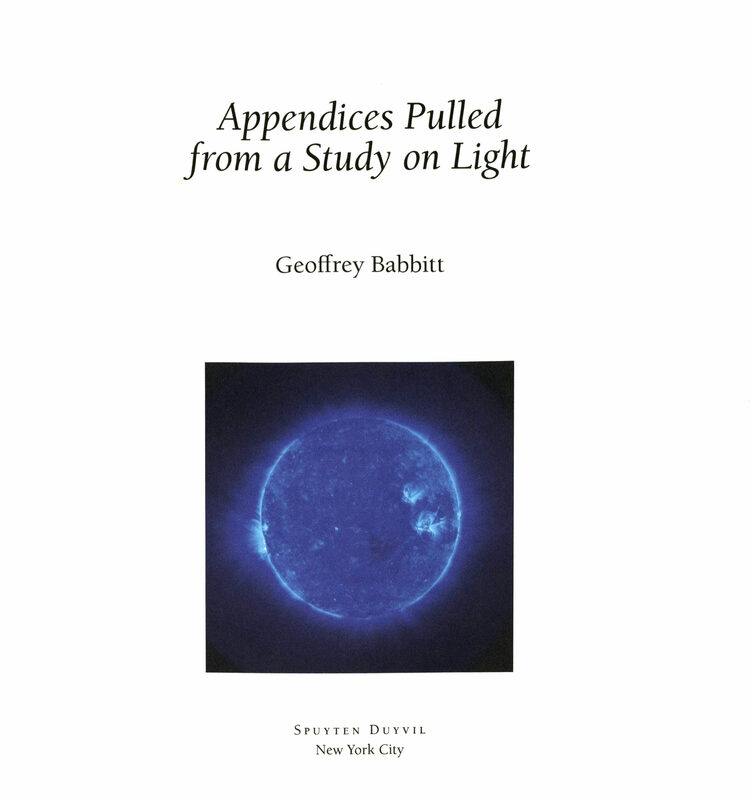 Only much later were these phenomena systematically examined and explained. 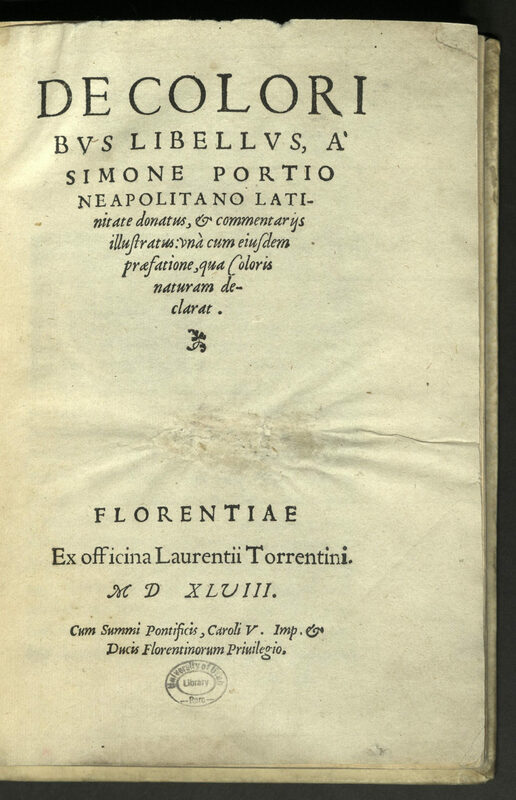 This edition was translated and edited with extensive scholarly commentary by Simone Porzio (1497-1554), a Neapolitan philosopher and scientist who was a fanatical disciple of Pomponazzi. Porzio eventually gave up lecturing on medicine at Piza and his scientific studies to focus on studying philosophy. Porzio denied immortality in all forms and taught that the human soul is homogeneous with the soul of animals and plants. 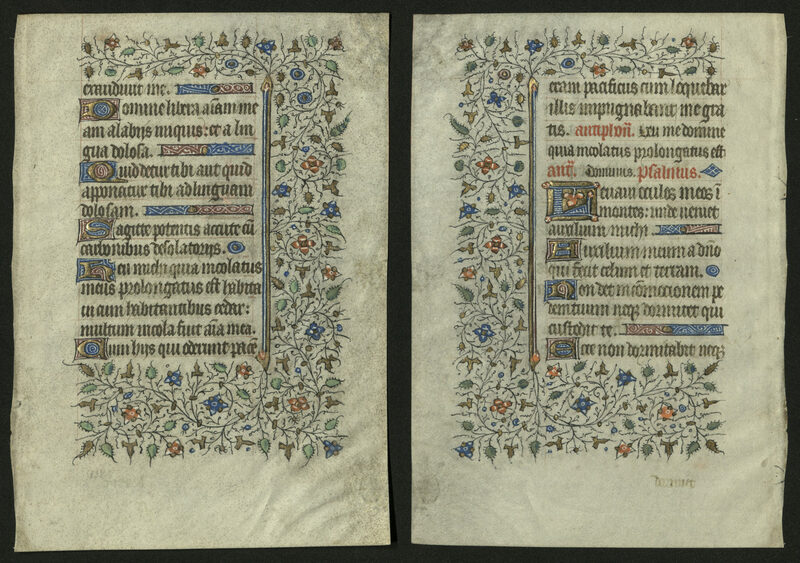 Binding is old vellum with a red leather lettering piece. 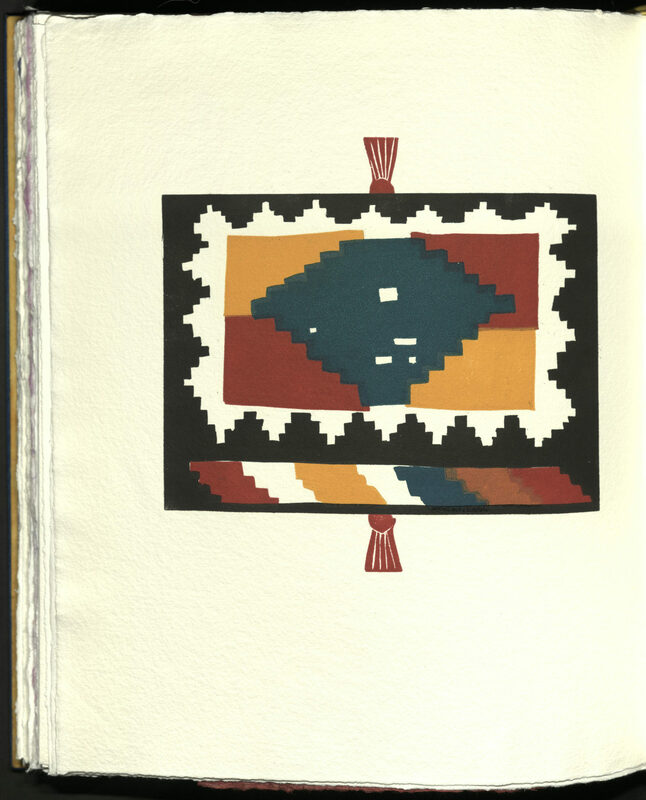 Rare Books is proud to support the Book Arts Program with its collections. For more information about the Book Arts Program and future workshops, visit their website or like them on Facebook. Free spots are limited; please apply here. The application deadline is April 14. Additional spots: $110, register here. Bring a personally challenging story to retell in a new light or a daily routine to reconsider and reframe. With a focus on finding joy and beauty in the everyday, participants stamp out insecurities, recontextualize shortcomings, and re-imagine the self in book form. In this workshop, employ ink, brushes, stamps, mark-making tools, text, and re-collected common objects to produce process pages. Through a reimagining of the past, reinvent present perspective with an open heart, mind, and eyes toward gratitude and compassion. Instructors demonstrate a binding to be completed post-workshop from produced sheets. Come with a willingness to play with color, shape, narrative, and texture. 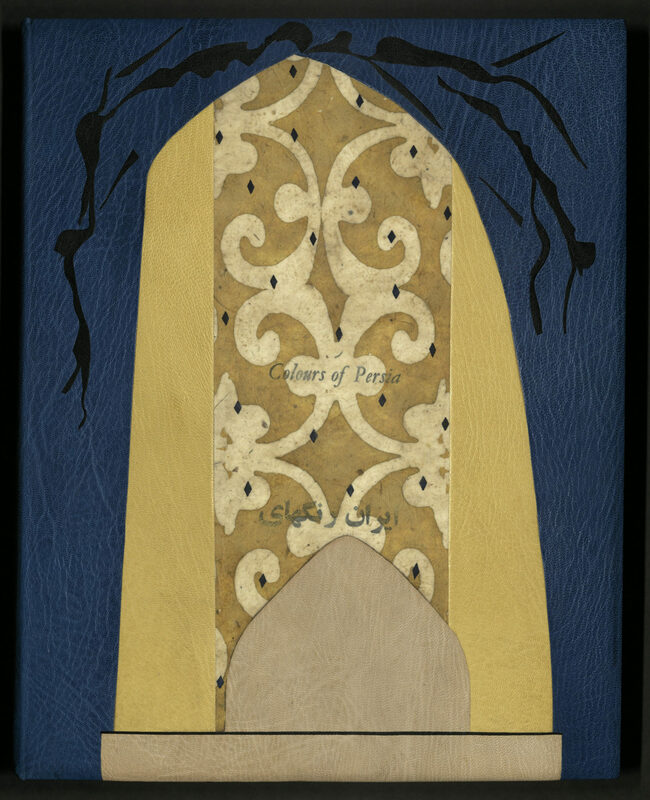 Julianna Christie graduated from Wellesley College and holds a BA in English Literature and Studio Art, with an emphasis in bookmaking. 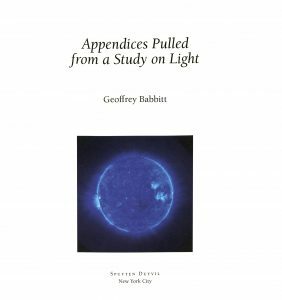 Upon graduating, she worked at the Center for Book Arts and Granary Books in New York City. 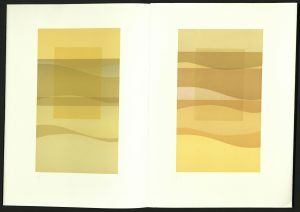 She has been making books for over 20 years, with books held in Special Collections libraries at Wellesley College and Harvard. 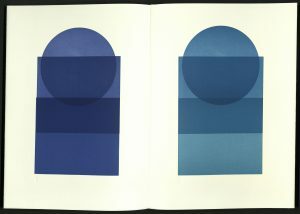 She incorporates collage, photography, sewing and love into her books. Julianna is also a life coach, specializing in personal growth and transformation. In her coaching, she invites clients to explore the art of storytelling, using words and imagery to examine and ultimately re-conceive a happy life. Marnie Powers-Torrey holds an MFA in photography from the University of Utah and a BA in English and Philosophy from Boston College’s Honors Program. She is the Managing Director of the Book Arts Program and Red Butte Press, an Associate Librarian (Lecturer), and academic advisor for minor and certificate students in Book Arts. Marnie teaches letterpress printing, artists’ books, and other courses for the Book Arts Program and elsewhere. She is master printer for the Red Butte Press, harnessing the mighty printing power of a full staff of excellent printers. A founding member of the College Book Arts Association, she served as Awards Chair for three years and currently serves on the board of directors. Her work is exhibited and held in collections nationally. Edition of ten copies. University of Utah copy is no. 4, signed by the author. Emily Tipps is the Binding Instructor, Program Manager, and an Assistant Librarian (Lecturer) at the Book Arts Program at the University of Utah, as well as the proprietor of High5 Press, which publishes innovative writing in the form of handmade artists’ books. She holds a BA in English from Wesleyan University, an MA in Creative Writing from the University of Colorado, and an MFA in Book Arts from the University of Alabama. 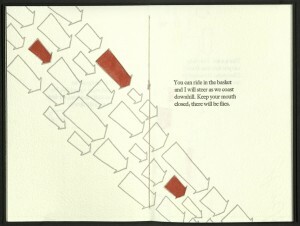 Emily’s work is exhibited and held in collections nationally. 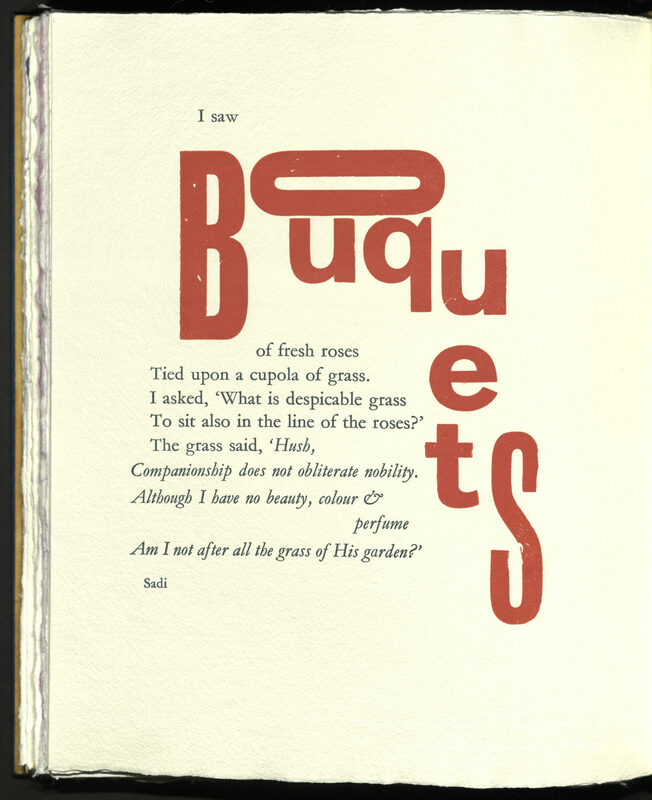 Letterpress printed from photopolymer plates on a Vandercook SP-15. Paper is Arches Text Wove and Stonehenge. Text type is Big Caslon. Pochoir illustrations. 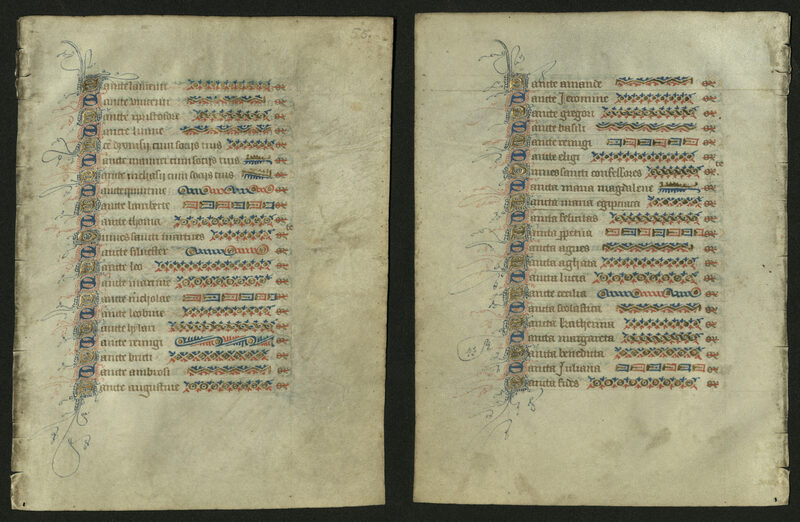 Endsheets are gray Bugra paper. Handsewn binding in black Stone Henge paper covers. Front cover blind-embossed. 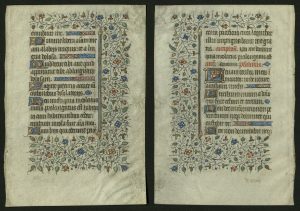 Edition of sixty copies. University of Utah copy is no. 42.